The first Saturday and Sunday of April, April 6th and 7th, the Zilker Botanical Garden hosts its 56th annual Zilker Garden Festival, which offers Central Texas and Austin residents the perfect introduction to spring. The family-friendly event takes place amidst the beautiful 30-acre Zilker Botanical Garden grounds, which are located near Lady Bird Lake on a diverse topography that is well-suited for showcasing different the types of native, hybrid and exotic plants that thrive in the climate of Central Texas. Themed gardens – such as the Rose Garden and the Japanese Garden – are sprinkled throughout the facility, and are interconnected with streams, waterfalls and Koi-filled ponds, which create a peaceful, serene environment for enjoying nature, wildlife and the great outdoors. 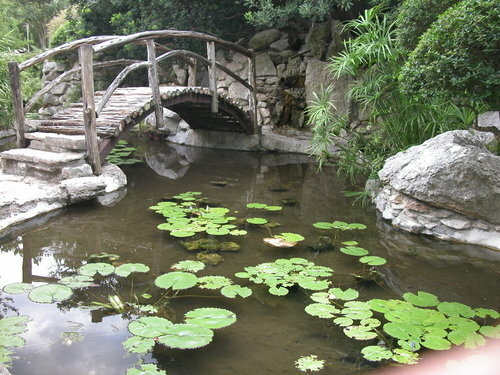 The Zilker Garden Festival is the Zilker Botanical Garden’s most high-profile and anticipated annual event, and all proceeds support the Zilker Botanical Garden. The event is co-sponsored by the Austin Area Garden Council and the City of Austin Parks & Recreation Department. 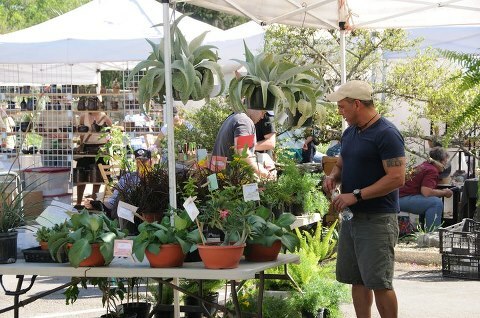 Highlights from the Zilker Garden Festival include gardening talks and information sessions, shopping and food offerings, as well as an array of kid-friendly events and activities. Additionally, live music is available both days of the Garden Festival from local Central Texas artists from the likes of Harps of Many Colors, The Better Halves, and The Siekers, among others. An array of garden talks and other information sessions from local flora and fauna experts are available at the Garden Festival as well. Topics range from “Care for Drought Stressed Trees” to “Rainwater Harvesting” to “Cacti & Succulents,” so festival-goers can receive a wide-range of area-specific information about Central Texas gardening from local, knowledgeable gardening experts. These informational garden talks are included in the Festival as a part of the City of Austin’s Grow Green program – which promotes sustainable landscaping practices by addressing hot button topics such as water quality and conservation, recycling and sustainable pest control. Additionally, an array of vendors from across Central Texas will fill the Zilker Botanical Garden the two days of the Garden Festival to sell a variety of plants and garden-related items, including garden-themed arts and crafts, ceramic pottery, jewelry and herbal products, baskets, birdhouses and colorful garden benches, among others. These items, along with the informational gardening talks, create the perfect recipe for gardening success this spring! Additionally, a Flower Show in the Zilker Botanical Garden Center with three special exhibits – featuring Bonsai, Cactus and Orchid plants – will showcase the best local horticulture in the area and will be judged by 6 accredited judges. This is the 55th annual Zilker Flower Show, hosted by the Violet Crown Garden Club and the Capital City Judges Council, which has been in existence since April 1958. Now, that’s a lot of flowers. 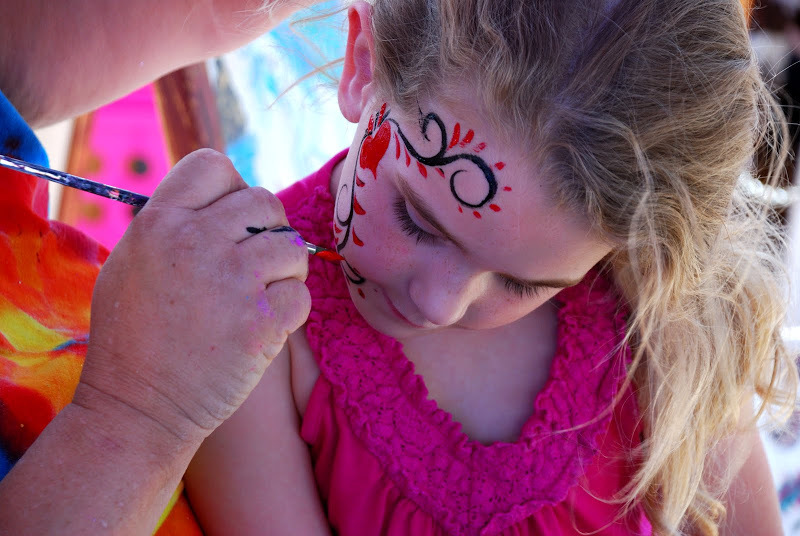 For the kiddos in your family, the Zilker Garden Festival features a number of kid-friendly events and activities in their Kid’s Corner as well. Here, the young ones can get their face painted, build their own birdhouses or bird feeders, make butterfly wings and masks, and will receive a free plant to take home and grow themselves. Additionally, the City of Austin will host an array of children’s activities in the Rose Garden, and near the “Faerie Homes” on the Escarpment Trail. There will also be food products available at the Garden Festival, from the likes of Amy’s Ice Cream, Crepe Crazy, and Texas Tradition BBQ, among others, who will offer spring food items for your Garden Festival experience. For more information about the Zilker Garden Festival, including location, activities and features, please visit the Zilker Botanical Garden website. And happy gardening! 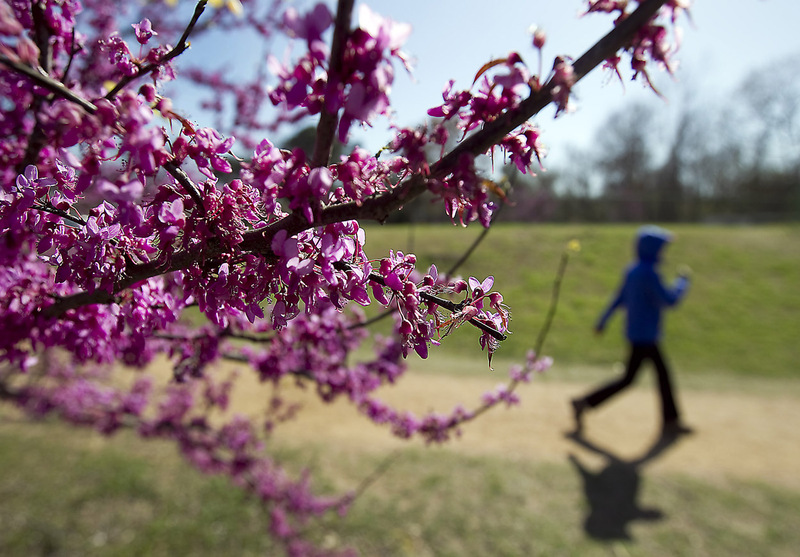 It’s almost March, which, in Central Texas, means that spring is on the horizon, or, honestly, already here. This March, get your home, your yard, and your mind ready for the season, and all the fun things there are to do here in the area. The most oft-talked about spring activity is the dreaded spring cleaning. But, really, it doesn’t have to be THAT bad. Open the windows to let in the fresh cool breeze and the spring sunlight, bust out your favorite Pandora radio station (something upbeat and inspiring to get you dancing with that broom) and get to cleaning. Of course, the degree of clean depends on your personal preferences, but wouldn’t it be nice for your home to start fresh and new, like the flowers and the plants that are about to bloom? Remember, there are some small tasks you can do that make a big impact, like giving your front door some love (a fresh coat of paint, perhaps), cleaning your windows inside and out, adding some fun-loving color and prints to your home (like on the fridge) and putting out a colorful, spring welcome mat. And, when you’re done, you can light a spring-smelling candle as the cherry on top of your fresh, clean home. Up in Austin, Lights Out Candles and Soy Delites offer local, organic candle options to your home will smell clean AND local! The next step in spring preparation is usually the yard. As the cold slips away into warmth, our front and back yards typically need a little more love than they did the past few months, and it often requires some additional effort to get everything back in green, healthy mode. Get the boring, tedious tasks done first – pruning, mulching, and clearing gutters – so you can spend more of your time planting flowers and landscaping instead. There are some wonderful local nurseries in the area that can provide you with the perfect colors and complements to your soon-to-be mowed, fertilized and green front yard. 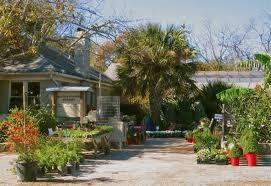 Wildseed Farms in Fredericksburg, for example, is one of the largest plant nurseries in Central Texas. They grow both “hard to find” tropical trees and shrubs, and local, native plants like Bluebonnets, Indian Paintbrushes and Laura Bush Petunias. And, on your way out there, if you wait a few weeks, you might be able to see the wild versions of these plants out on the sides of HWY 290. In Austin, the Barton Springs Nursery has a robust selection of native and well-adapted plants for Central Texas weather as well; and, they aim to be more than a nursery, but also a place for information, guidance and entertainment. The nursery is located on three and a half acres, complete with groves of Live Oak trees, a Parakeet atrium, a toy-filled sandbox and flourishing ponds with fish and turtles galore, so the whole family can be entertained while shopping for flowers for the flowerbed. KLRU’s Central Texas Gardener offers some excellent tips for gardening in Central Texas too, so if you’re stumped on how to care for your new plants they’re a great resource. For those interested in planting a vegetable garden for the spring, Texas Gardener has a free weekly email newsletter with gardening tips and information, and the A&M Horticulture Department is a nice resource as well. The A&M webpage is really robust, and has gardening fact sheets and gardening guides for virtually every veggie out there! Perhaps the most important “spring cleaning” activity, though, is cleaning YOURSELF (and we don’t mean literally). Just like January 1st, the spring is a time of new beginnings, as the flowers bloom and the weather changes, and with all the spring cleaning and organizing you’ll be doing, why not clean and organize your body and your brain too? 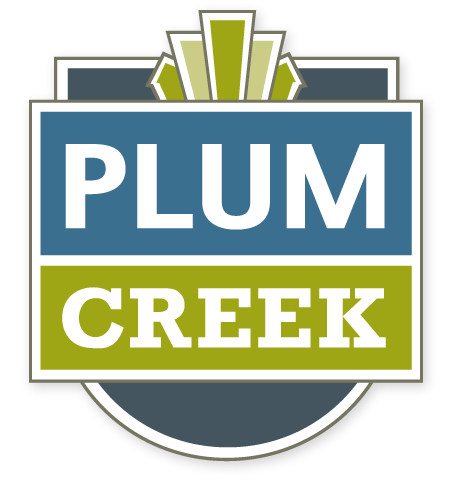 It’ll be warm enough for you to bust out that bicycle, do some morning yoga, or get out on Plum Creek’s hike and bike trails. Revamp your wardrobe. And make some goals. What do you want to accomplish this spring and summer? Think about it, plot it out on a calendar and get going! And remember, there’s going to be so much going on this spring and summer in Central Texas that you should add some events and activities to that goal list. Stay tuned to Go20 for information about some of these upcoming opportunities. Happy Spring, everybody!